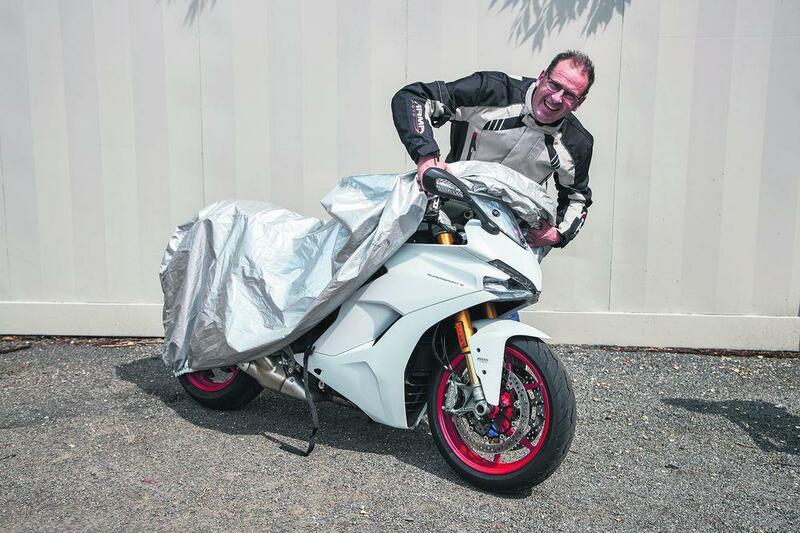 Editor Andy Calton has spent three months using the £34.99 Silvertech bike cover and has so far been surprised by how well it's holding up. What’s good? This was a bit of an emergency purchase as my old cover gave up the ghost and the plan was to use this cheap cover as a stop-gap. However, three months on and it’s performed well enough to make its replacement unnecessary. It fits my Ducati SuperSport S nicely and is easy to pull on and off. There’s a clip that fastens under the middle of the bike to hold the cover in place and it’s machine washable. It’s kept the rain out and I’ve had no issues with the cover melting to the exhaust, despite throwing it on as soon as I step off the bike sometimes! What’s not? It looks a bit like it’s really a cover for the Starship Enterprise and it’s a bit flimsy. It will blow off the bike completely if the strap is not securely fastened.